Dr. Dionne’s approach is a combination of conventional medicine supported by and shared with alternative therapies, nutrition, diet and exercise. Inspired by Adele Davis in her early 20′s, Dr. Dionne become intrigued by the science behind vitamins and minerals. She studied various modes of healing, including homeopathy, craniosacral therapy, acupuncture, traditional Chinese medicine, Ayurvedic medicine and meditation. 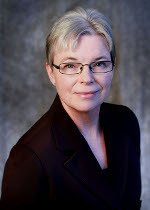 After working as a lab technologist for ten years and having four children, she began studies at UBC, graduating from medical school in 1991. While practising as a family doctor, she found that there was a great deal of chronic illness that did not respond well to conventional therapies. In 2003, she was introduced to Functional Medicine which combines conventional medical knowledge with science-based natural and alternative therapies. Dr. Dionne recognized the power of combining scientific knowledge with the wisdom of nature.